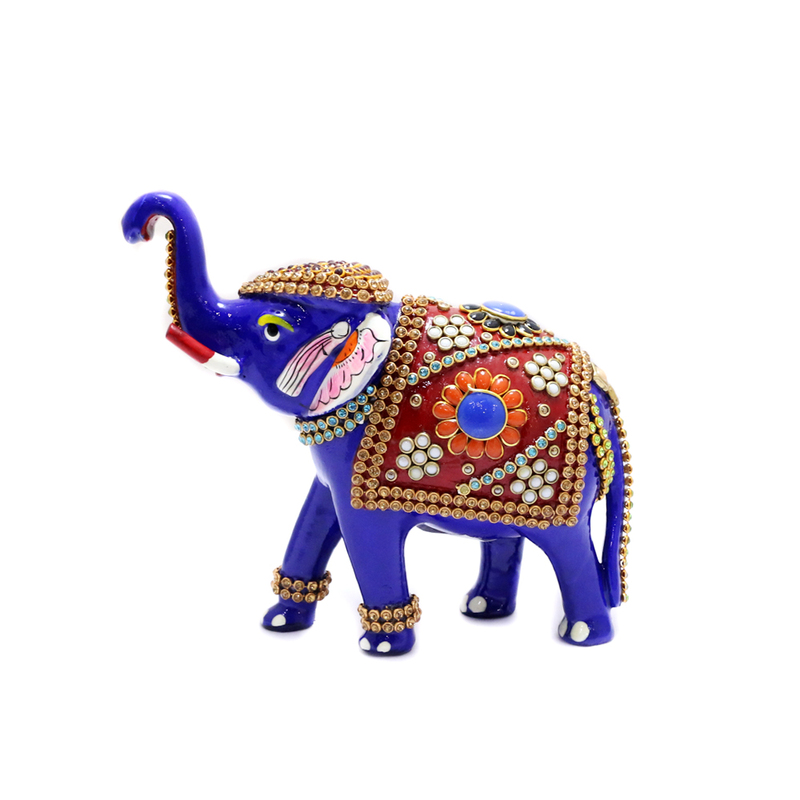 The elephant showpiece is adorned in royal blue colour is a definite sign of positivity. 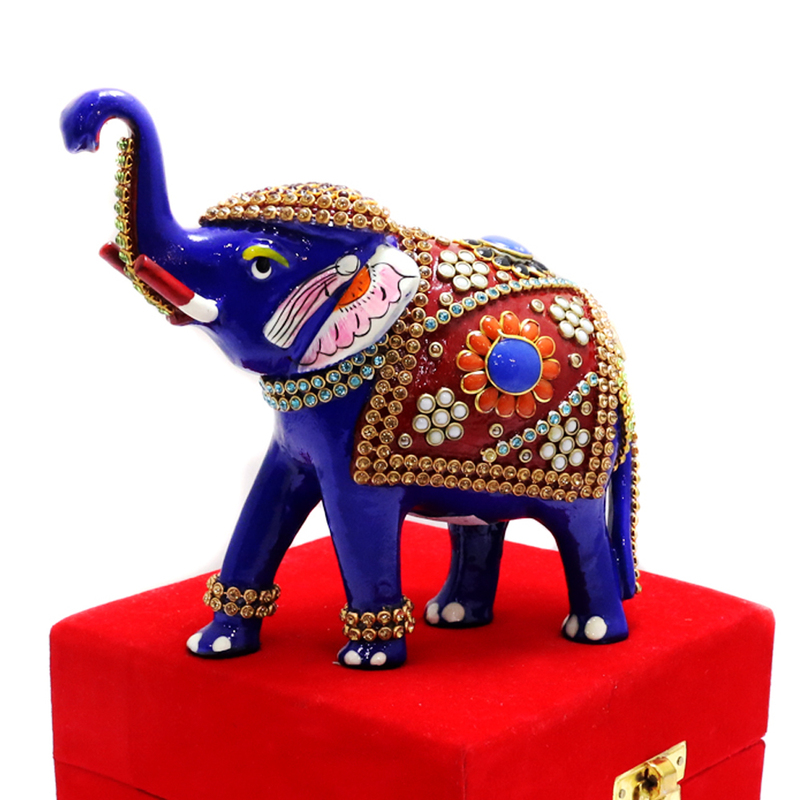 This showpiece reflects a standing posture. 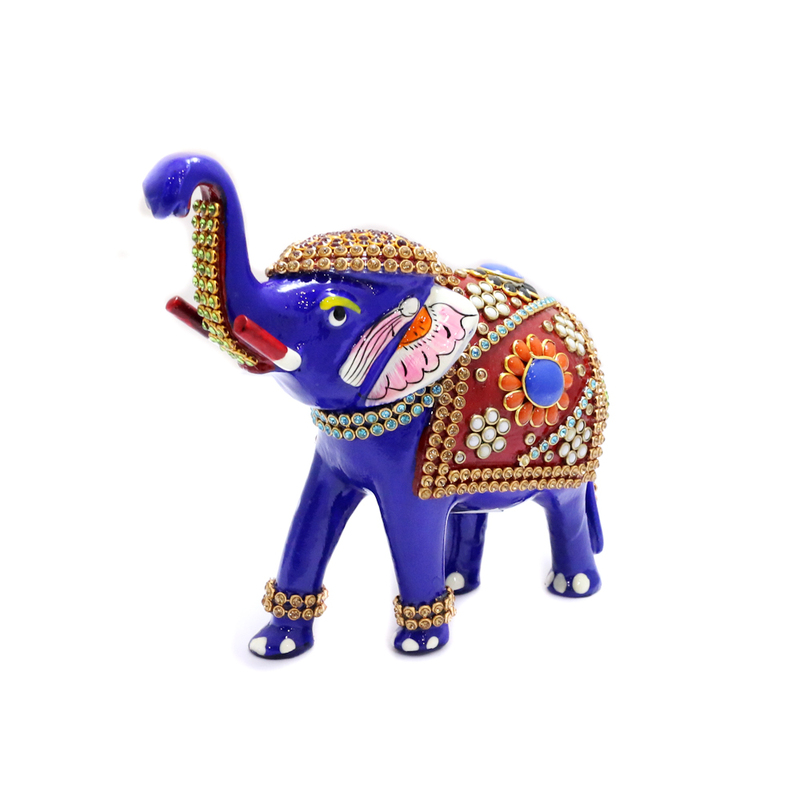 It is entirely painted Read More..with detailed work with its trunk soaring high. It also comes with a red velvet packing case. Show Less..